In Filipino culture, September is the first of the “ber” months. This is a pretty exciting time for the country as it signals the start of the Yuletide season. Do you know that our country has the longest Christmas season in the world? But for adventurers and travelers like us, September is something even more than just a countdown to Christmas. September signals the start of a new wave of adventures that promises a new level of excitement. We began our “ber” adventures in the paradise island of Sumilon. 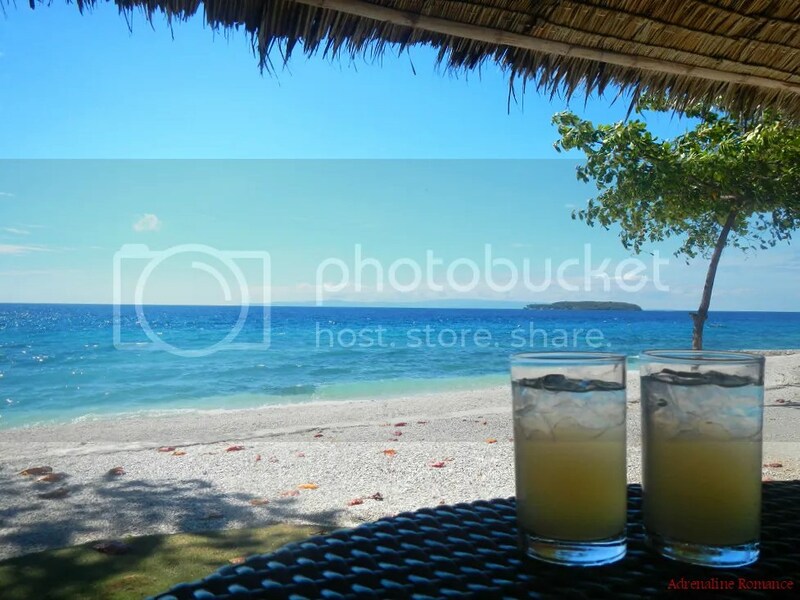 The 24-hectare Sumilon Island is located a mile off the shores of Oslob, a quiet municipality at the southeastern tip of Cebu. 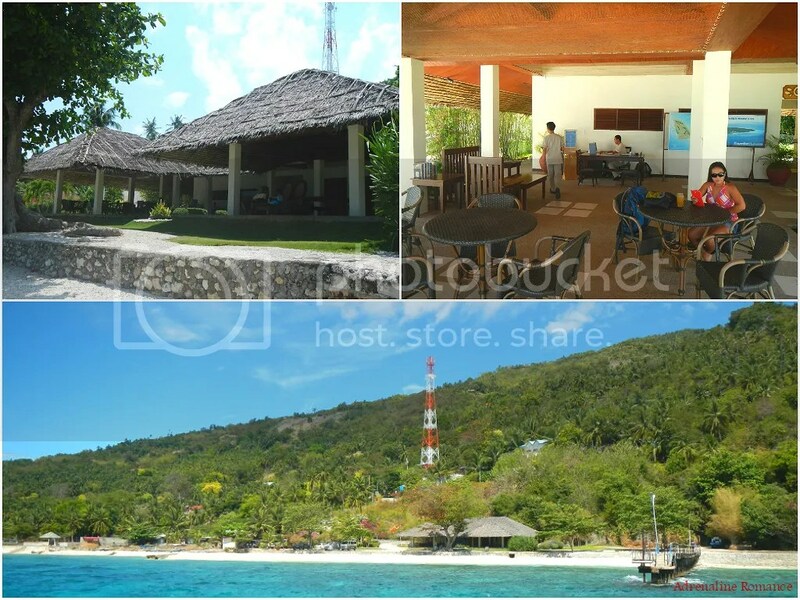 This small but magnificent coral island is home to the world-famous 4-star Bluewater Sumilon Island Resort. 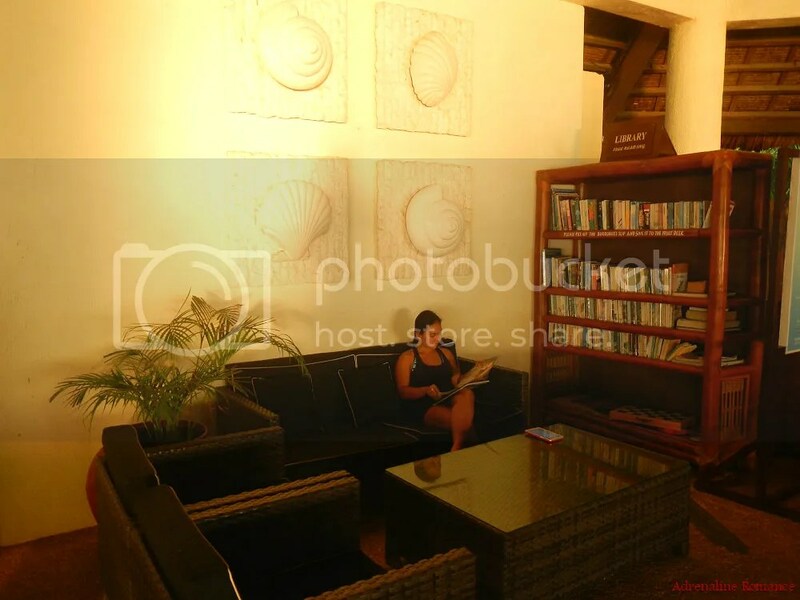 For us, it is the right place to relax and, of course, to enjoy amazing adventures. 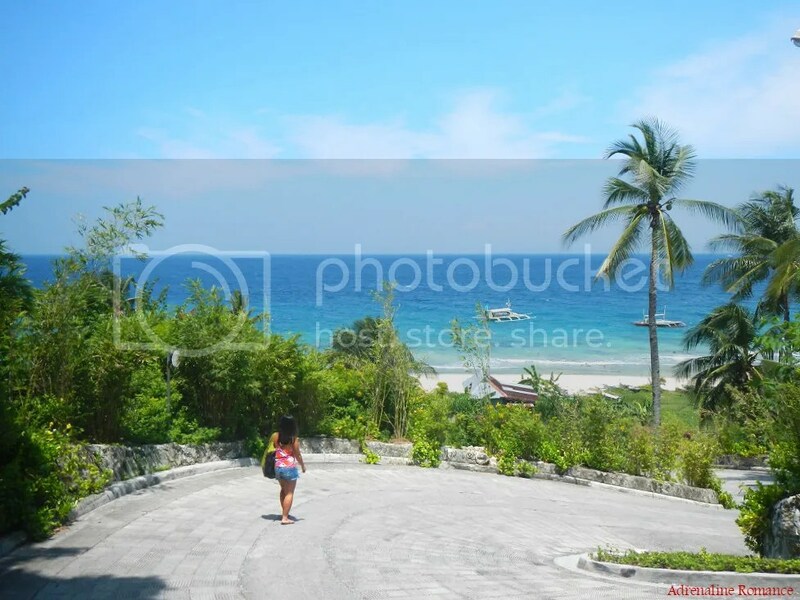 After a four hour commute from Cebu City, we alighted from the bus and went down a steep driveway to Bluewater Sumilon Island Resort’s receiving area. 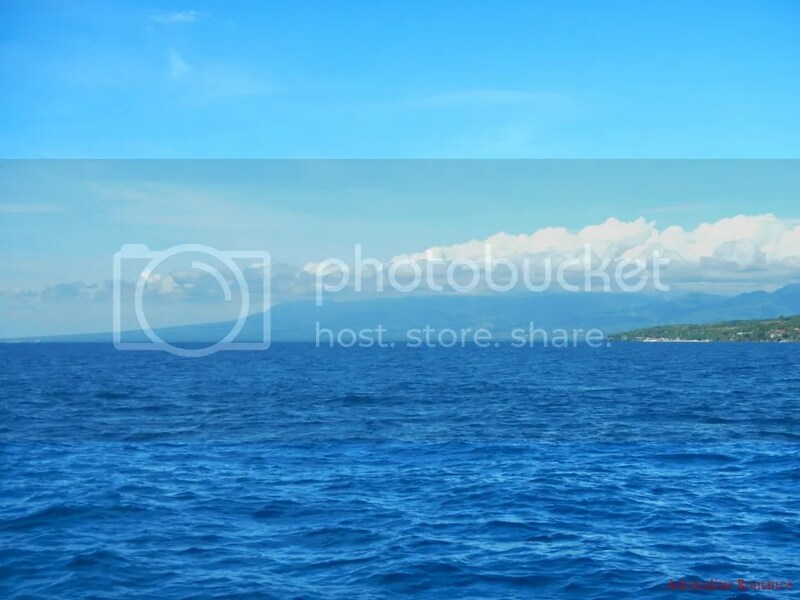 From the road, you can already witness the grandeur of the cerulean sea. Beautifully manicured gardens and carefully sculpted topiaries make guests feel as if they have just stepped into Eden. And remember, this is just the receiving area! There is also ample parking space for those who have private vehicles. 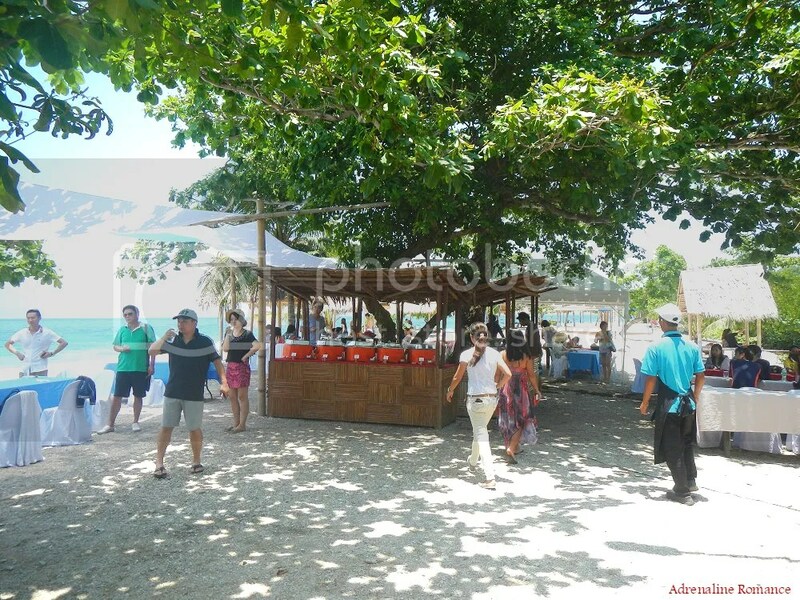 The open-air receiving area is located at a beach in Bancogon, Oslob in mainland Cebu. 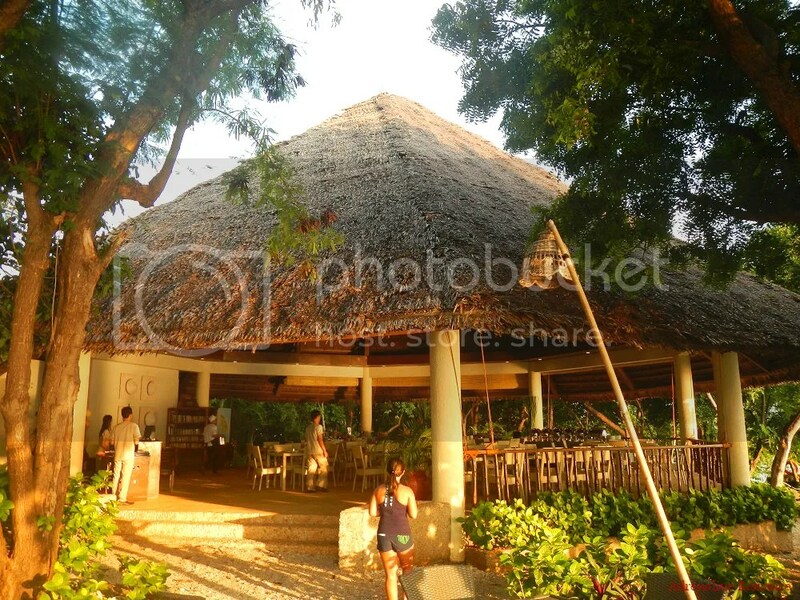 The structure features a nipa roof, wooden beams, and rattan furniture, which collectively exude a very distinctive and tropical Filipino feel. 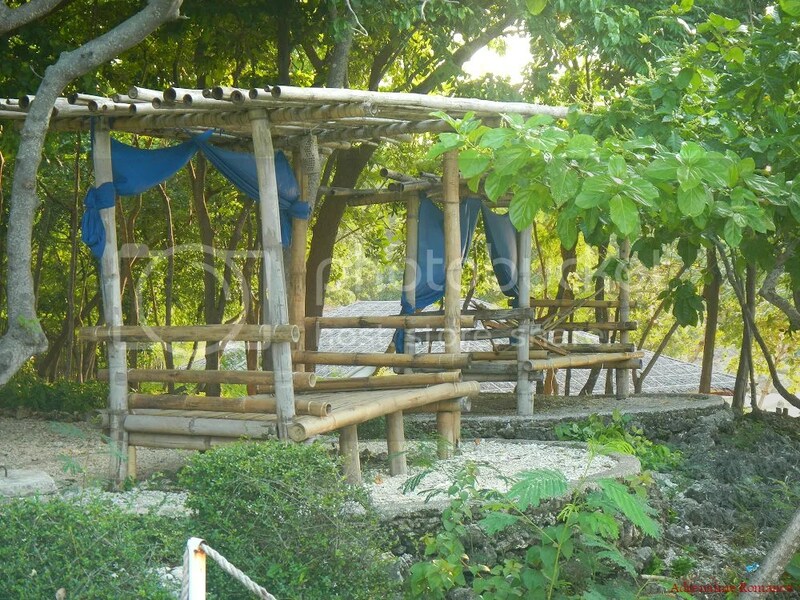 The receiving area sits right at a sandy beach at the foot of a verdant mountain! Freshly brewed, ice-cold tanglad (lemongrass) tea that is sweetened with honey is served to guests as welcome drinks. It is mildly sweet and very refreshing. It washed away the oily aftertaste of our lunch. 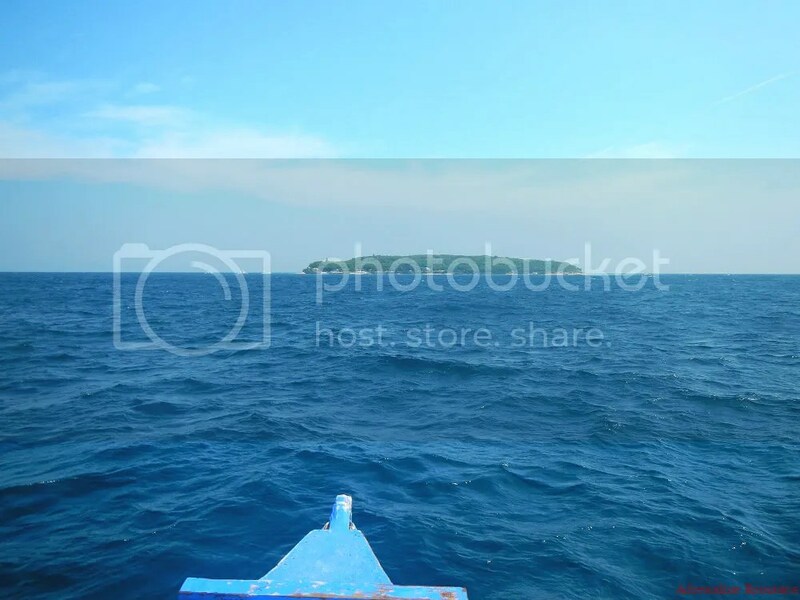 The resort proper is located in Sumilon Island, which is a mile off the shore. Thus, while waiting for the resort’s boat to pick us up, Sweetie and I decided to relax on the lounge beds. Doesn’t that view melt your stress away? It took a lot of willpower for us to resist the temptation of jumping right into the cool, aquamarine water. Also, check out that white-sand beach; you can bury your feet here, and let the earth absorb all your troubles. But while we thoroughly enjoyed our waiting time at the beach, we were quite concerned about the whitecaps in the distance, the powerful gusts of wind, and the powerful surf crashing down the shore. That meant one thing: this is going to be a bumpy ride. 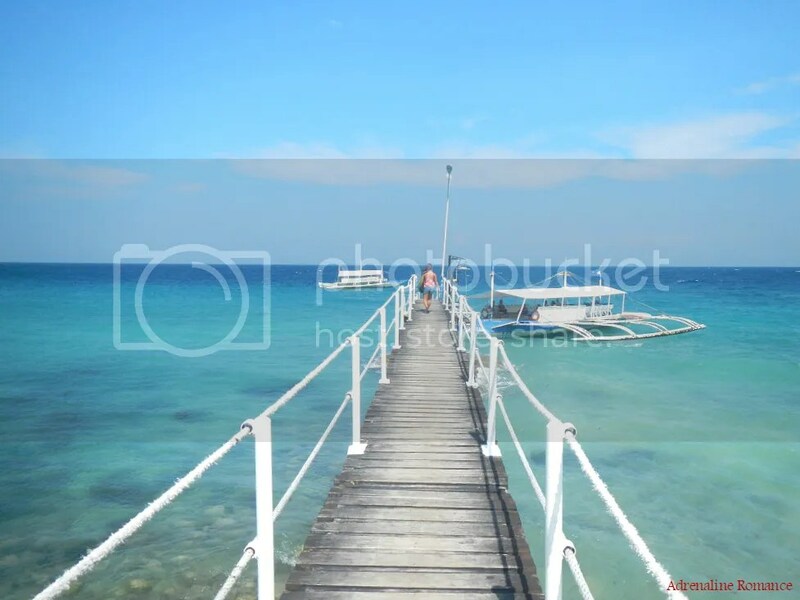 At 2PM, the boat from Sumilon Island docked at the long pier that juts from the beach. The end of the pier features a rotating rail-equipped gangplank that enables visitors to safely and easily board the boat. 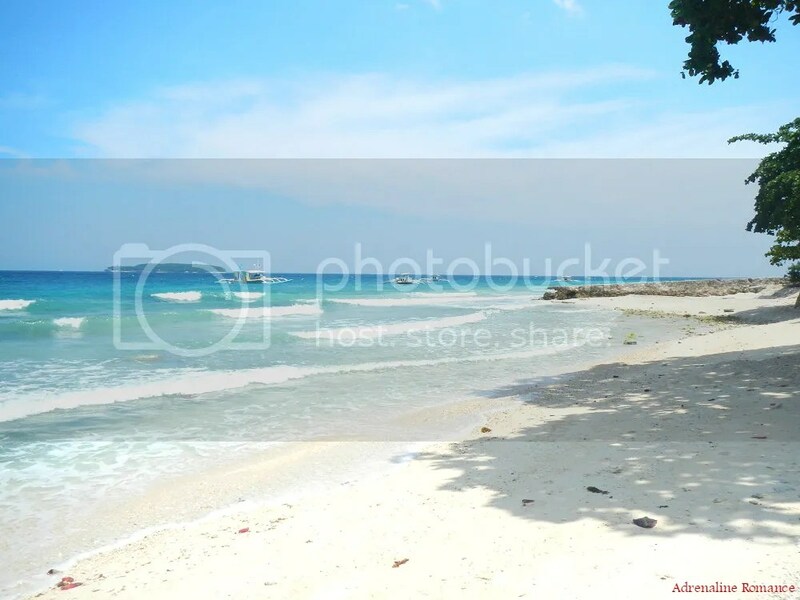 Those rocky cliffs and boulders make perfect shields from the sun and street view for those who want to enjoy a bit of silence and privacy at the beach. 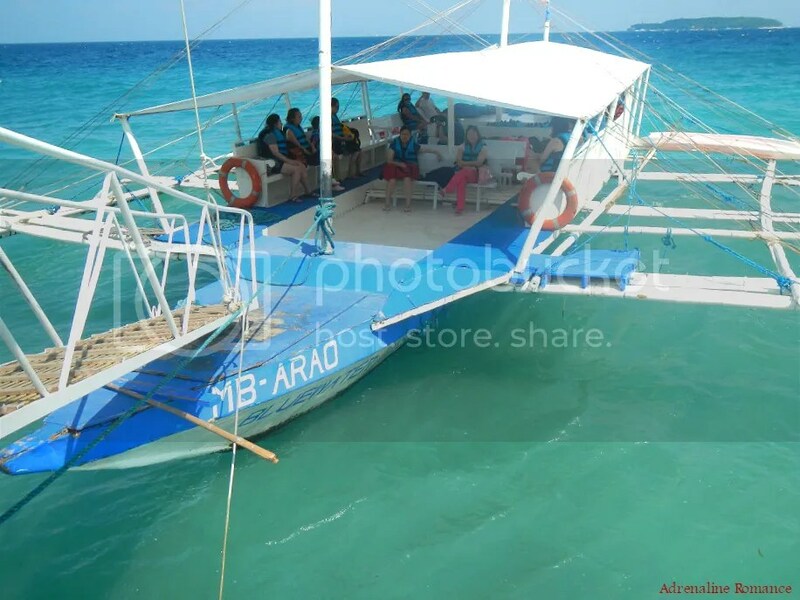 Bluewater Sumilon Island Resort’s boat is designed like a typical outrigger pump boat that is commonly found all over the Philippines. But this vessel is quite big and has a wide deck to accommodate a large number of guests. 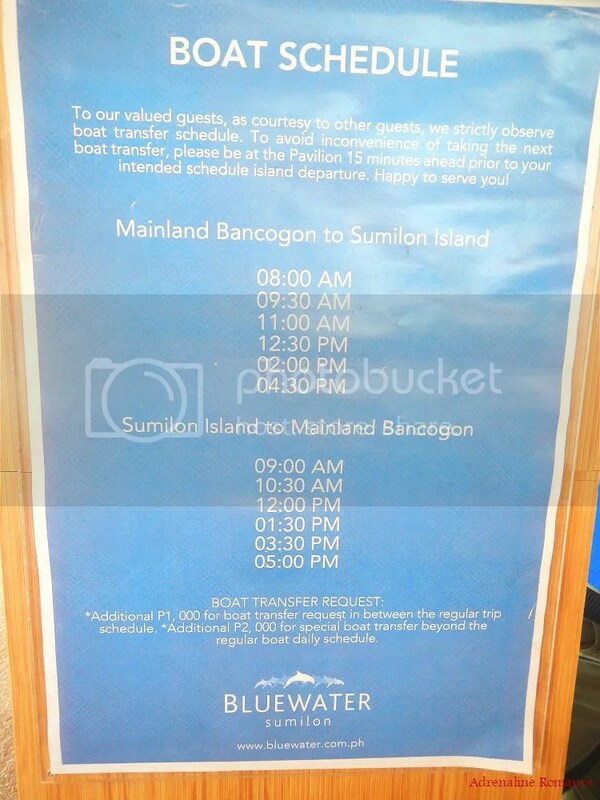 For safety during the short trip to Sumilon Island, all guests are required to don life jackets. Then, we were on our way. The journey, which normally takes less than 30 minutes, took almost an hour. The sea was quite rough, and the boat had to slow down to avoid smashing through the waves head-on. The imposing Mt. Talinis can be seen clearly from the channel. During our trip, this majestic mountain was covered with clouds. We knew we were in safe hands as the boatmen were quite skilled. We arrived at Sumilon Island safely. 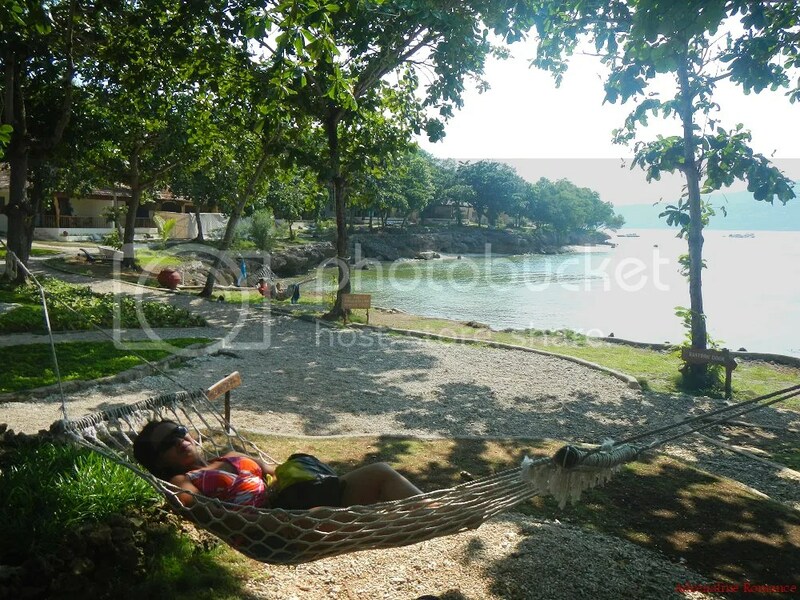 Sweetie immediately felt a huge relief from work stress as we set foot on the coral rock island that she immediately headed out to one of the many hammocks that dot the resort. Don’t you just love it when you just lie down there with the glorious view of the sea, sun, sky, and mountains in front of you? Let’s check out this 4-star resort, shall we? 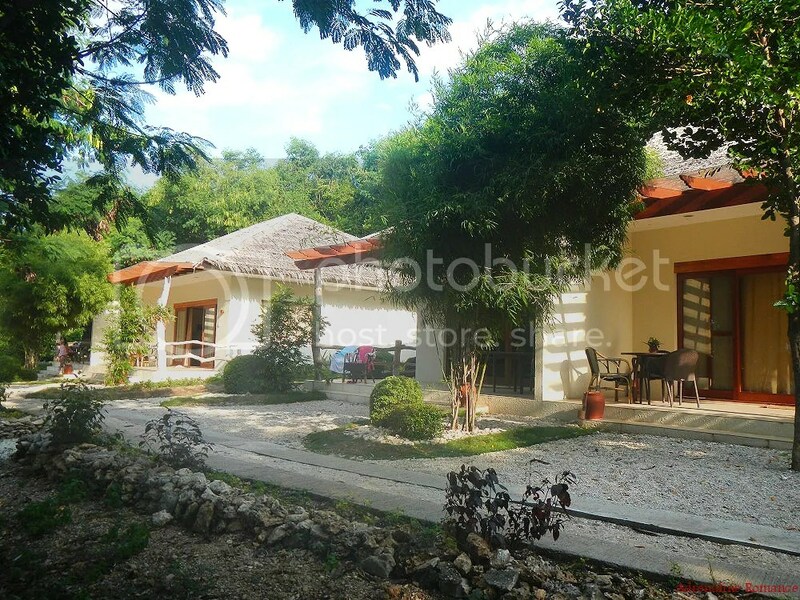 Instead of being housed in a large, opulent building with multiple rooms, guests stay in luxurious villas that face the sea and Cebu mainland. Each has its own terrace and garden where occupants can chat, read a book, enjoy a cup of hot coffee, and more. The villa “community” has its own pathway that is separate from other common pathways that snake around the resort. Thus, resort guests can enjoy utmost privacy. We didn’t stay in one, so we’re not sure about the exact amenities in each villa. But it’s safe to assume that each villa is chock-full with luxury fit for royalty. 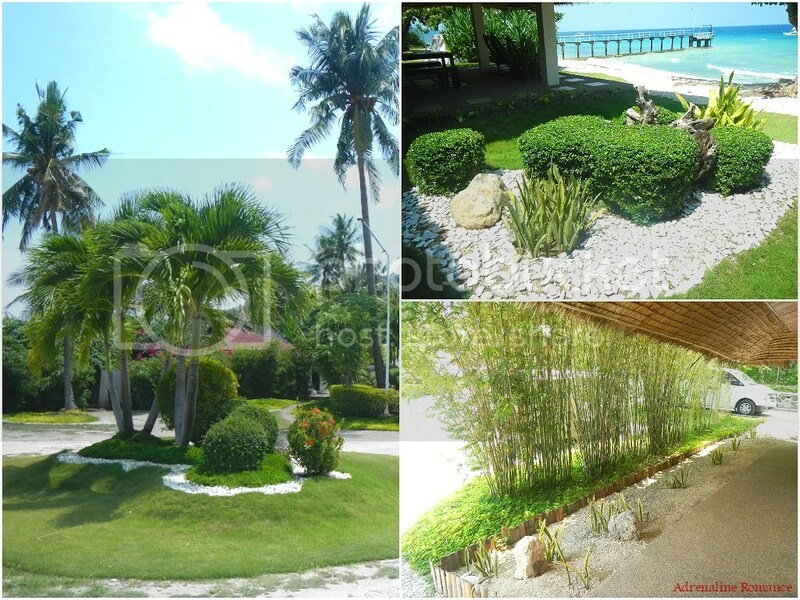 Guests can also stay in these open-air bamboo cottages to relax and enjoy the sea view. These cottages are called payag-payag in the local dialect. Sumilon Island is surrounded by beautiful coral reefs as we discovered during our first visit there when we took part of a coral replanting and cleanup drive organized by Project BLUE. To allow guests to explore these reefs, Bluewater Sumilon has its own in-house dive shop. 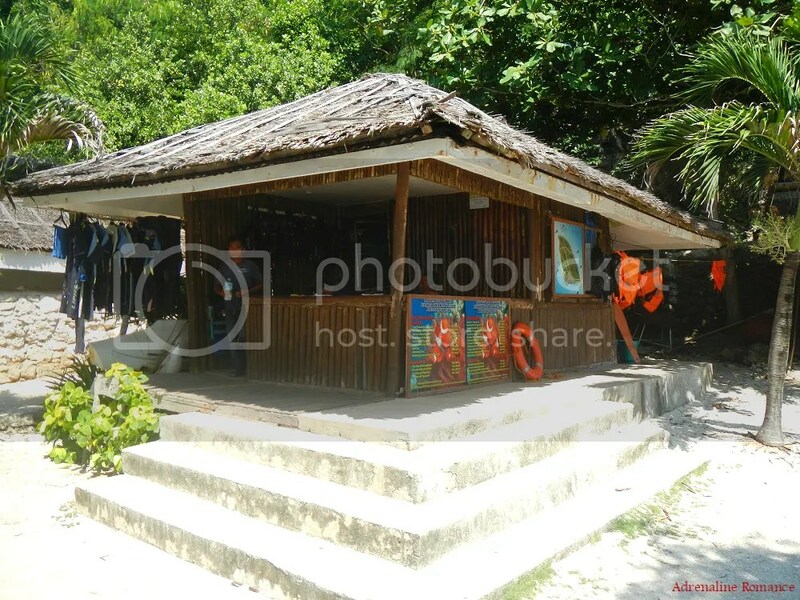 They have a comprehensive array of snorkeling and scuba diving equipment which guests can rent and use. They also offer dive tours and certification courses. So if we didn’t stay in a villa, where did we spend the night while we spent the weekend in the island? Well, the resort has a large and sheltered glamping area. Check out the tarp roof; it shields the tents from the sun and rain. 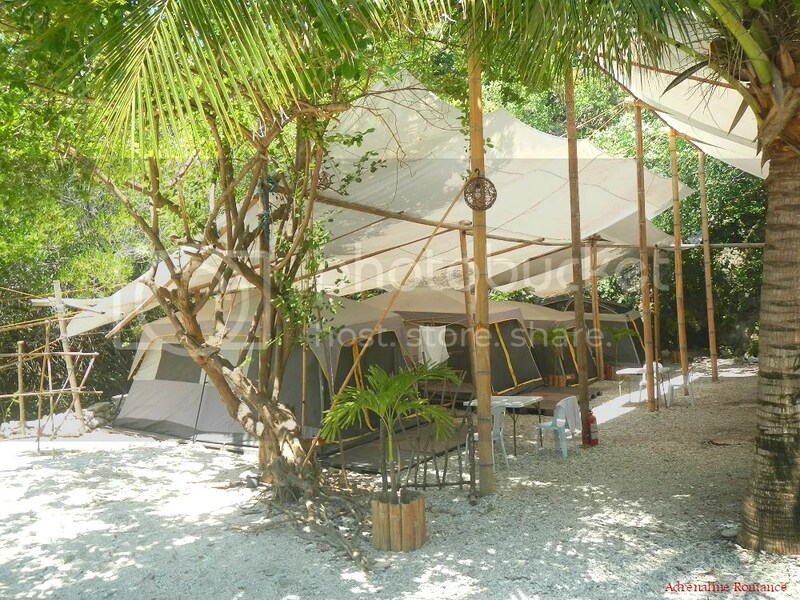 Glamping is short for “glamorous camping” in which people can experience the thrill of outdoor camping while being pampered with resort-style services and amenities. It is an ideal introductory activity for those who want to step into the world of outdoor adventures, which often requires staying in a tent out in the wilderness. 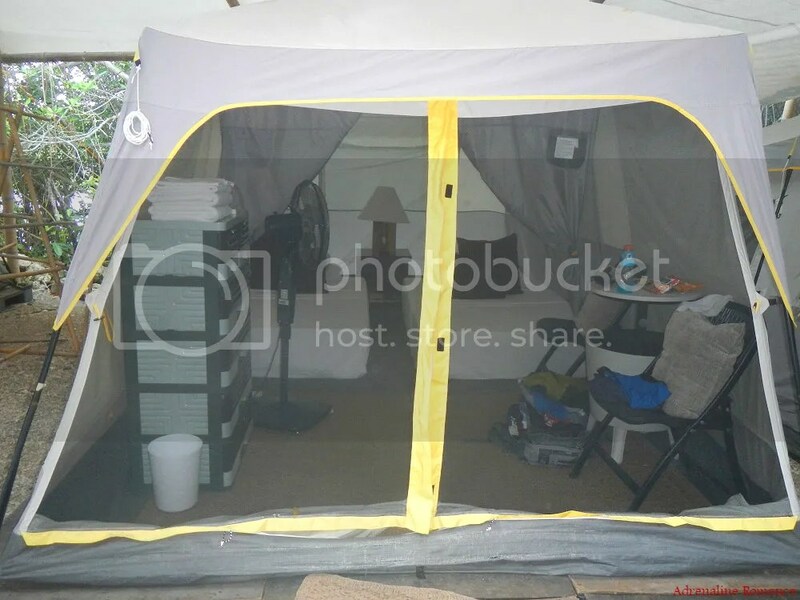 Except for an air-conditioner, our tent is fully equipped with two comfortable beds, lamps, a cabinet, and a sitting area. It’s pretty comfortable and especially fresh and cool at night. 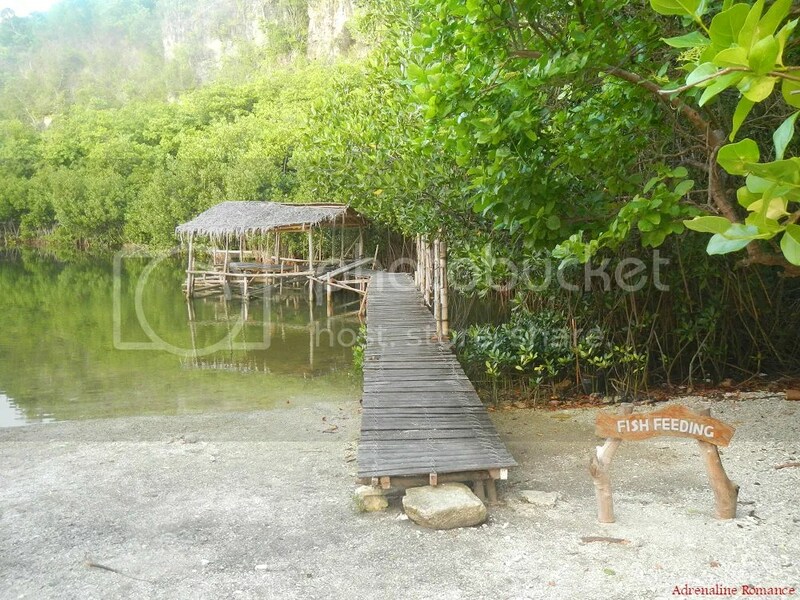 Just beside the glamping area is a large lagoon in which a part of it is designated for fish feeding. The resort supplies the fish food, but you can bring a bit of bread on your own. This would feel definitely like heaven! If you’re a guest here, you can have skilled therapists pamper your body in this very comfortable open-air massage stations. 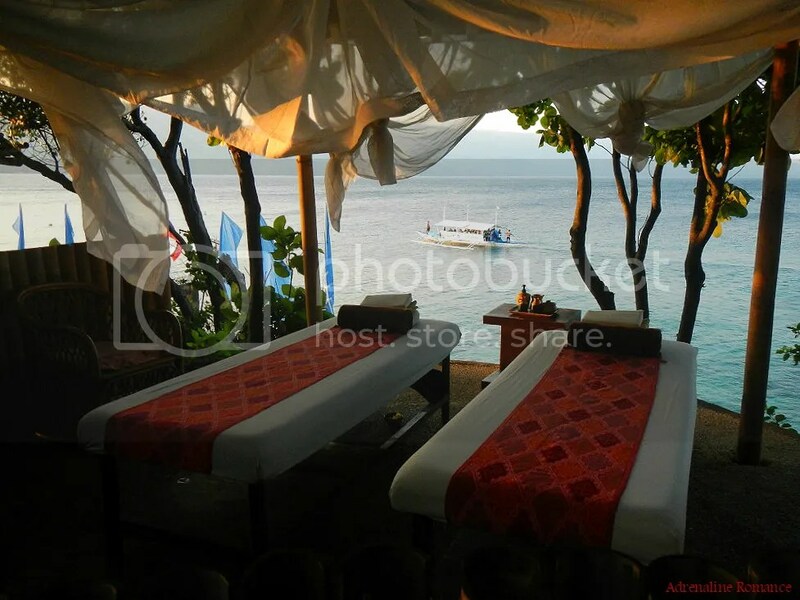 What more could be relaxing than enjoying a massage with a fantastic seascape right before you! 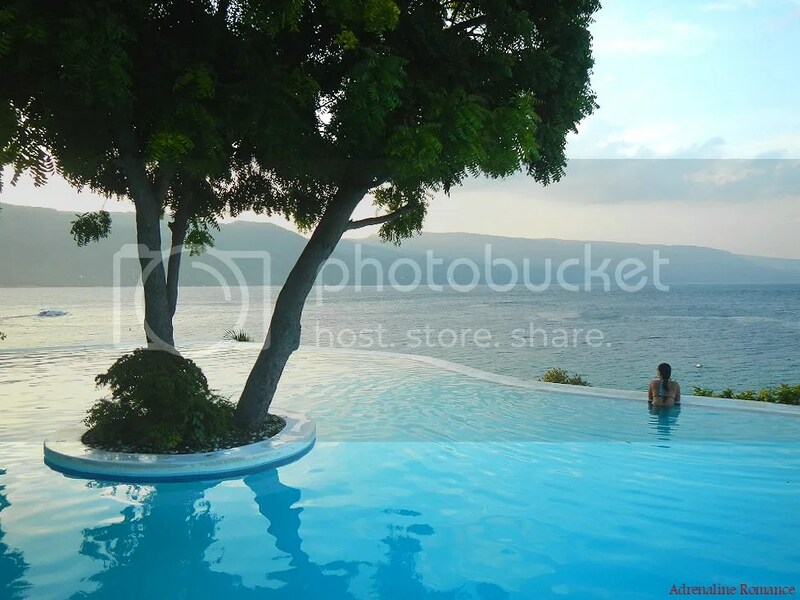 The star of Bluewater Sumilon Island Resort is this very lovely infinity pool. 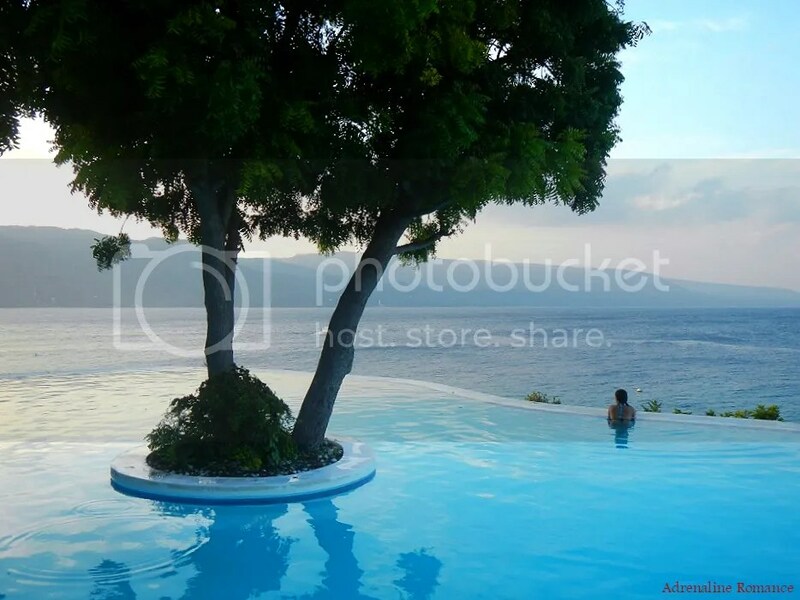 It is perched over a high seaside cliff that gives swimmers an encompassing view of the azure sea, the tropical sky, and the beautiful island of Cebu. Sweetie and I decided to take a nice dip while watching the fiery sunset. How cool is that! A few steps down the pool is this bubbly jacuzzi, which also overlooks mainland Cebu. With the bubbling water gently massaging our tired bodies, we believe we could stay here all day! We frolicked around the pool and the jacuzzi area until we got hungry. It was time for dinner, so we headed out into their open-air restaurant. It’s such a romantic scene being surrounded by dimmed lamps, showered with starlight, and serenaded by the sound of the sea. 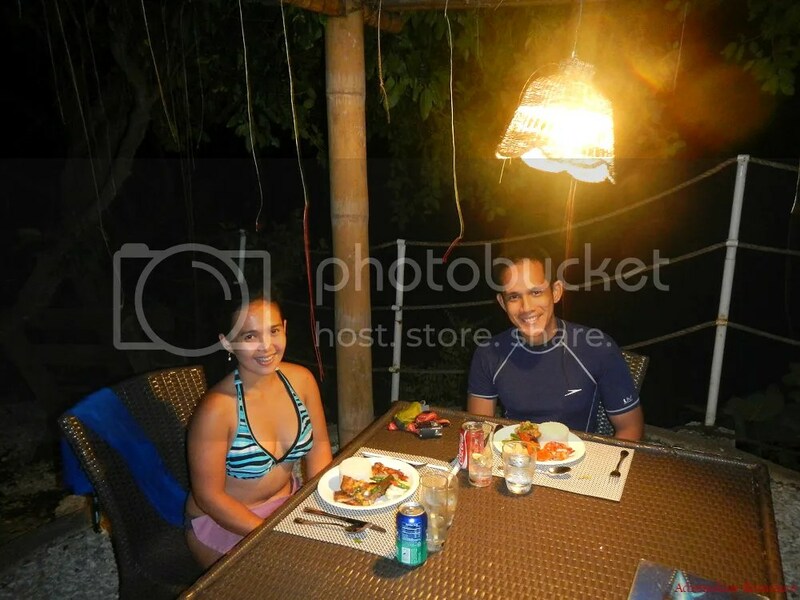 Bluewater Sumilon Island Resort prepared a sumptuous evening meal for us. 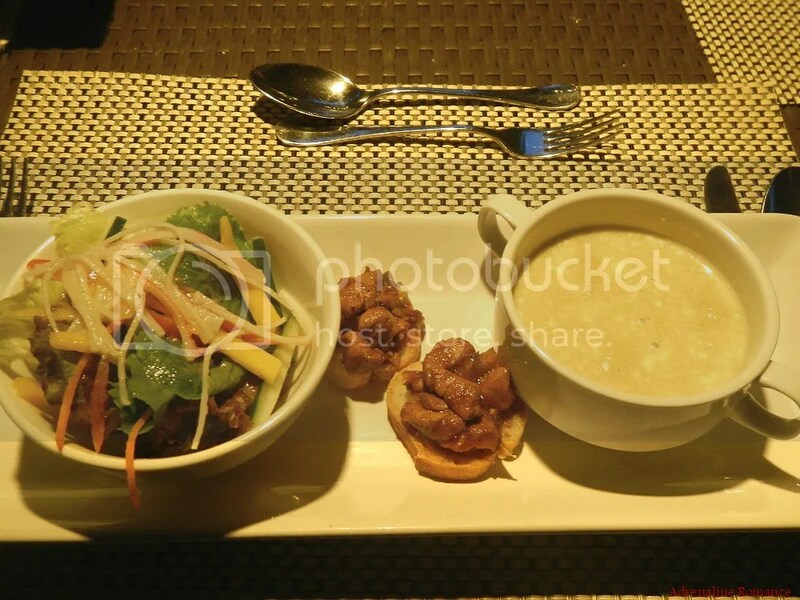 We started off with a couple of Brochetas de Pollo as appetizers and Potato and Leek Soup. We also had crunchy Mixed Greens with Crab and Mango Salad; this one is really pleasant to the palate. 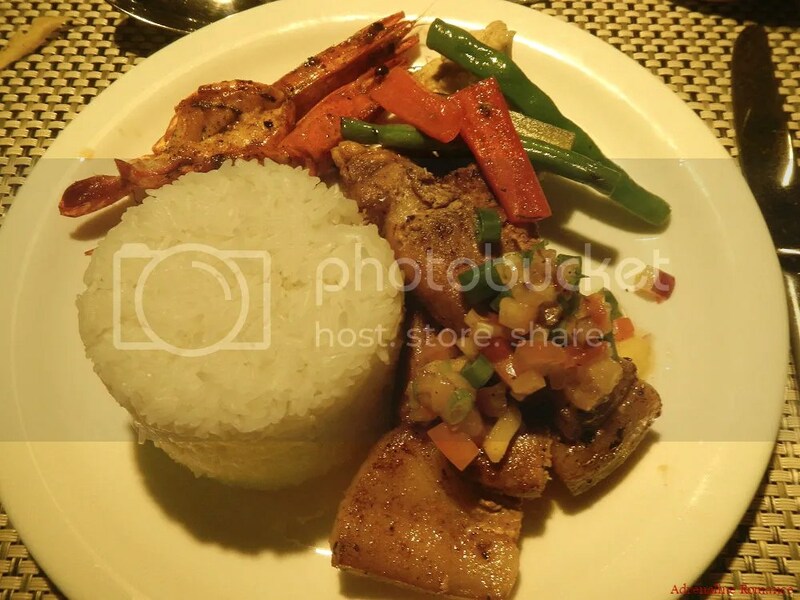 After the soup and appetizers were done, they gave us a chunky serving of delicious Pork Au Vin and Grilled Spice Prawn for our main meal. Lightly sautéed mixed vegetables washed down the protein-rich dinner. 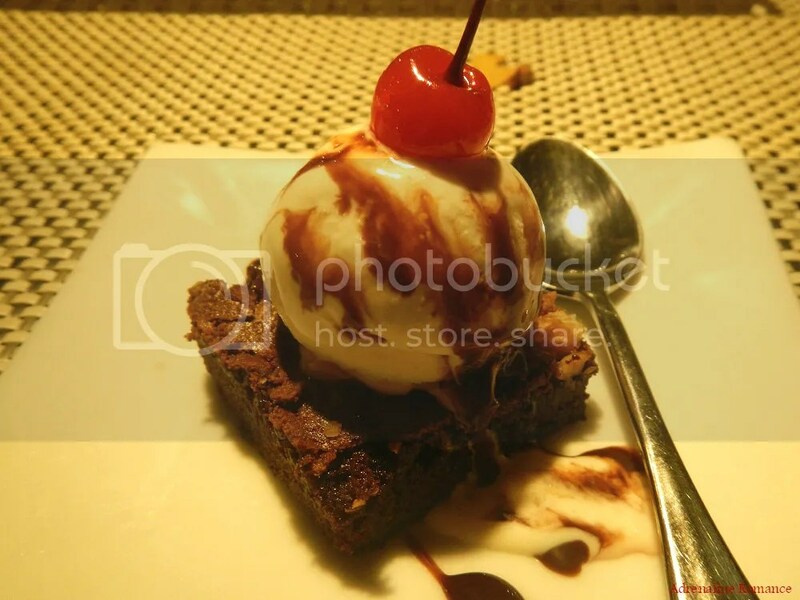 For our dessert, we had this sinfully sweet Brownie à la mode. Doesn’t that make your mouth water? Many guests opt to eat outside their villas or the in-house restaurant. 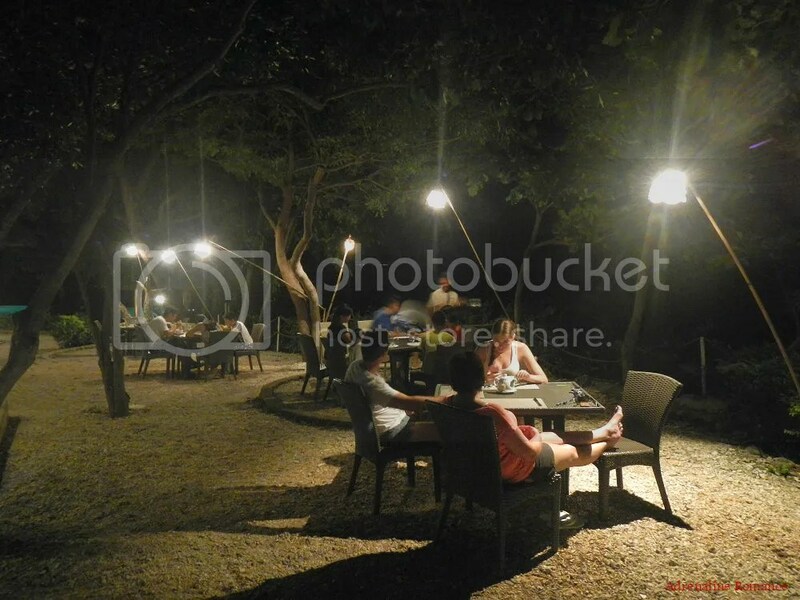 As a guest, you can also ask them to set you and your partner a table by the beach, which is perfect for a romantic date or that extra special moment when you pop up the big question. 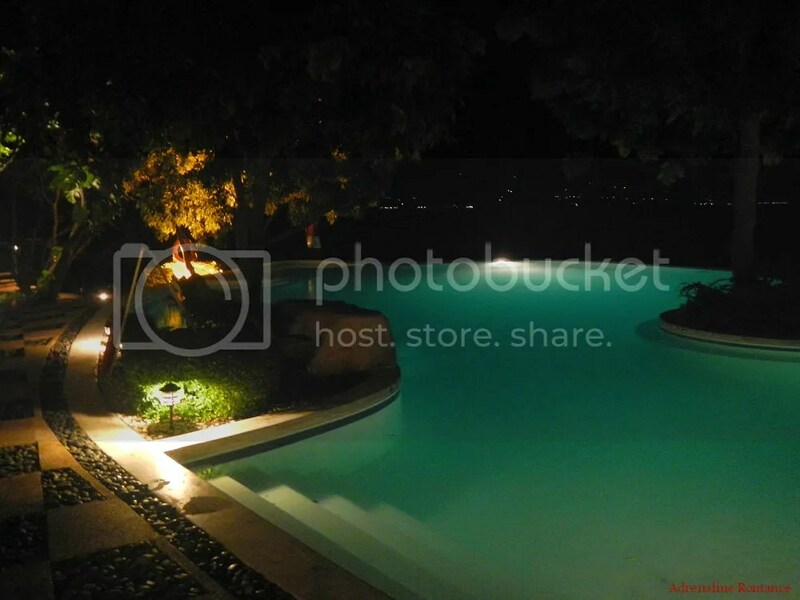 The softly lighted pool looks excellent, doesn’t it? Sweetie and I were tempted to jump in; but we know that if we had, we would have stayed there for hours past our bedtime! 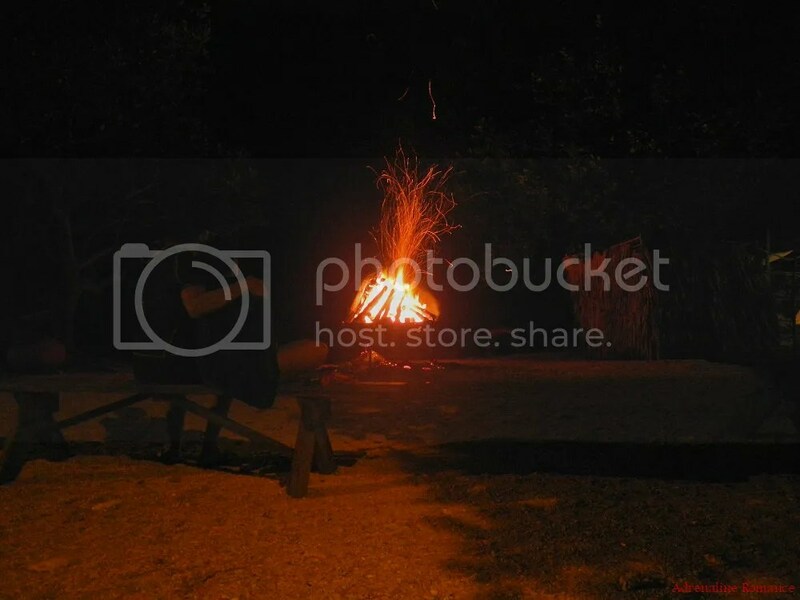 Before turning in for the night, Sweetie and I had a nice date by the beach in the middle of a warm, crackling bonfire. After washing up the sweat, dust, and chlorine, it was time to go to bed. Good night, world! Check out that really comfortable bed. 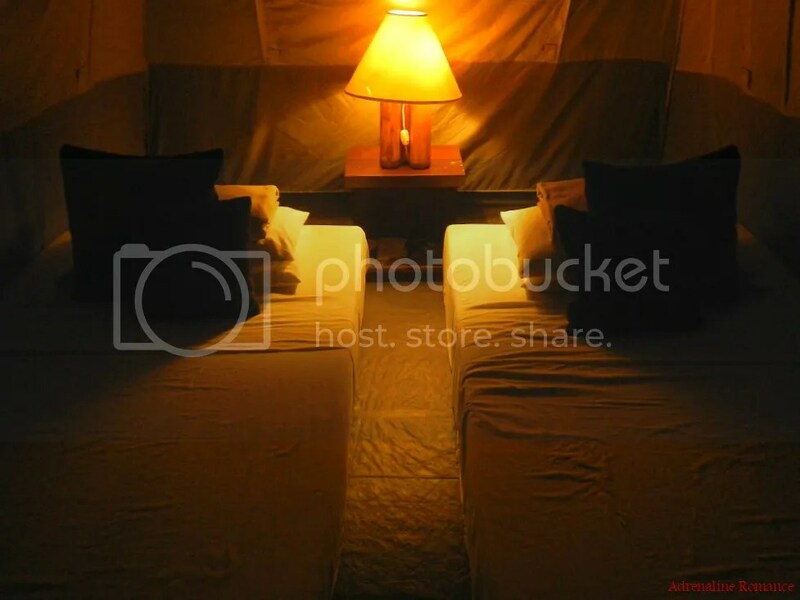 The bedside lamp gives a soothing, soft, warm glow if you wish to do a little bit of night reading. The next day, we woke up early to watch a gorgeous sunrise. 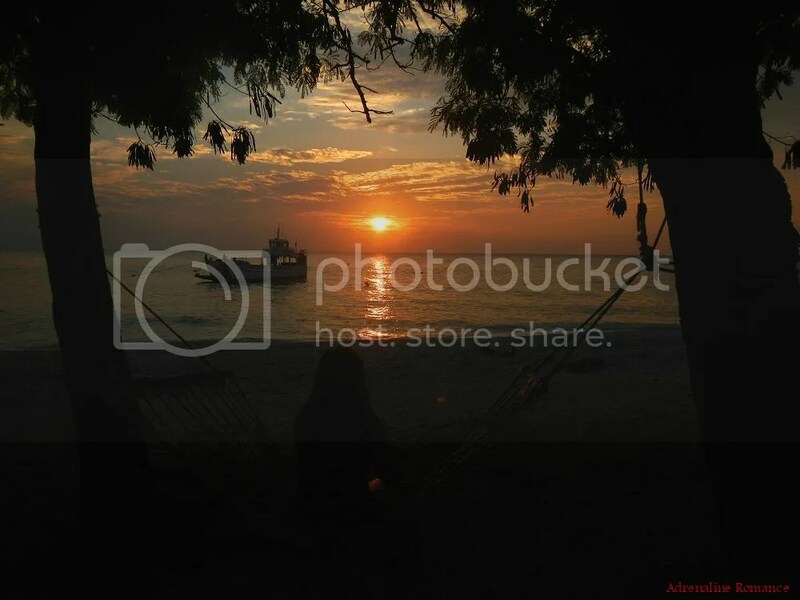 Sumilon Island, we realized, has one of the best sunrises that we’ve ever seen. Seeing a big morning ahead, we headed out to the Pavilion to have some heavy breakfast, our favorite meal of the day. On the way, we passed by this cool playground for kids. 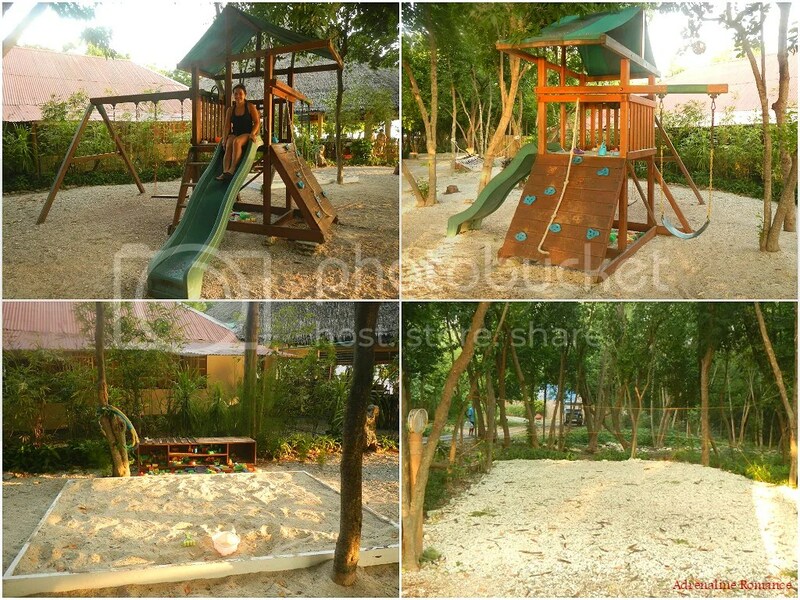 They have an expansive sandbox and a shaded volleyball court as well. 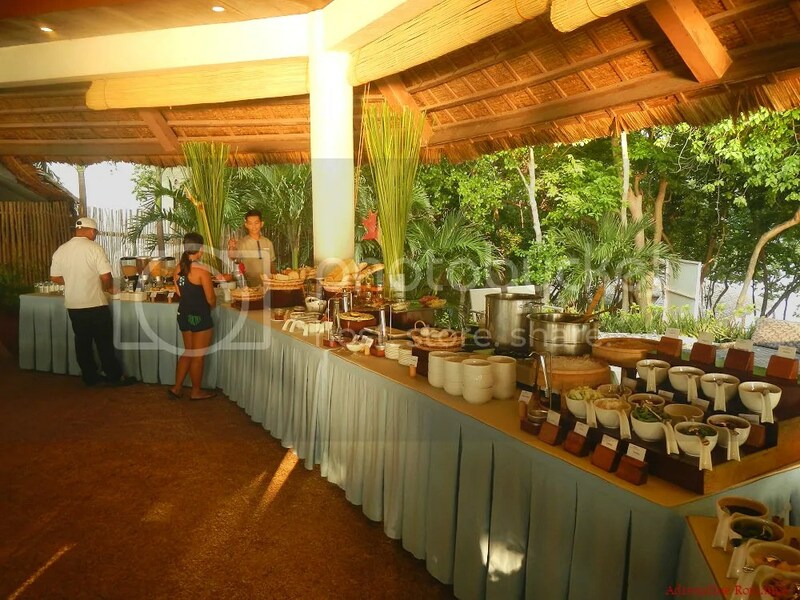 The Pavilion is the resort’s in-house restaurant, which is a large, Filipino-inspired open-air structure. It also serves as a guest information and receiving area. While waiting for the breakfast buffet to open (yes, we were actually the first guests to be there), we decided to read a few books about marine life in their mini library. They also have simple and classic board games here that you can freely use. At around 6AM, the buffet table was opened. Just check out those massive selections of healthy, tasty breakfast food! 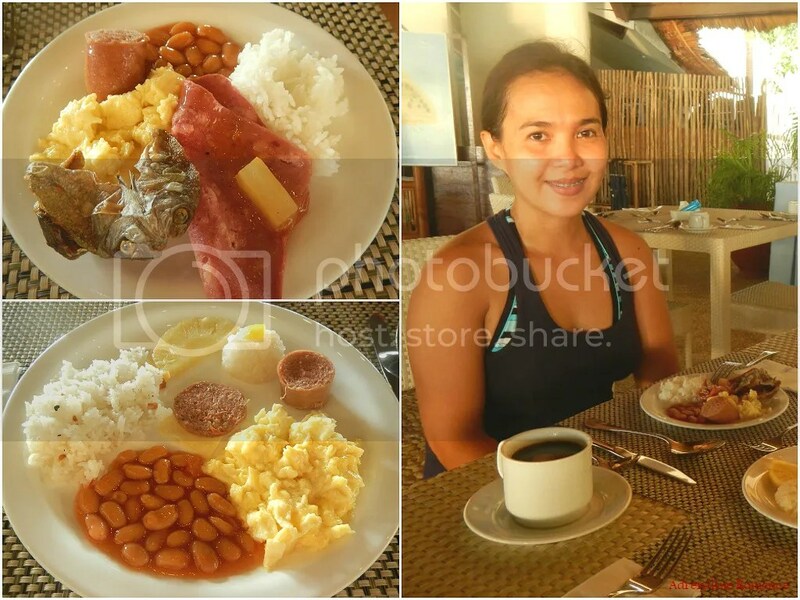 The servings are modeled after a full English breakfast but with a smattering of Filipino viands. 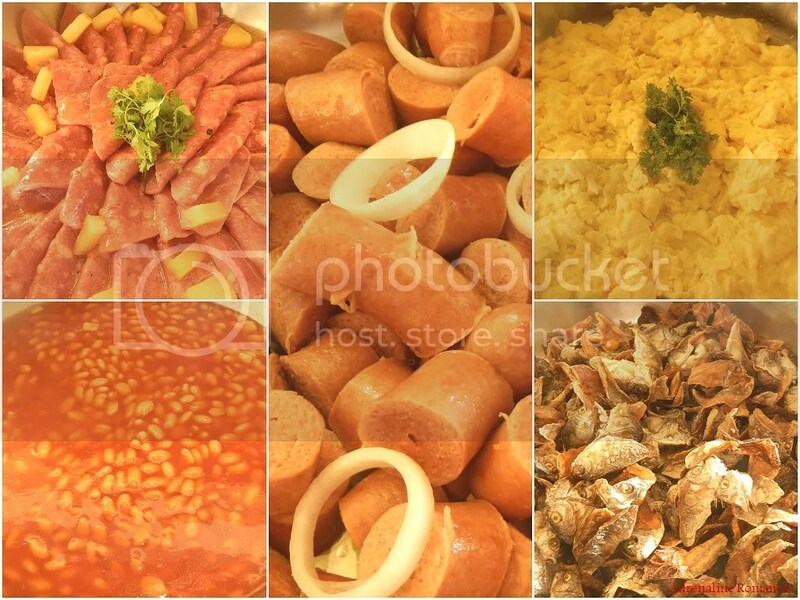 During our stay, we had a delicious, filling selection of ham slices, pork and beans, sausage, scrambled eggs, and fried daing (salted fish). 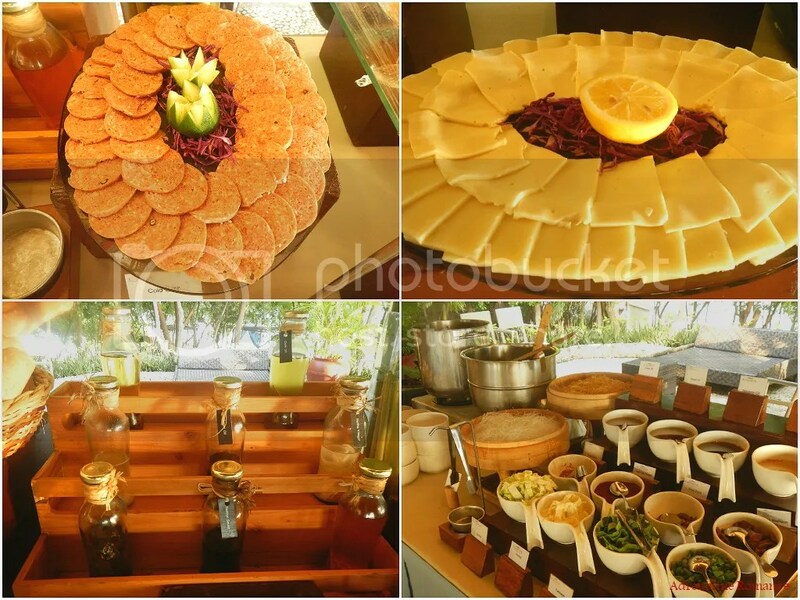 Cold cuts and cheeses were served. They also prepared hot chicken soup; you can choose the noodles, meats, veggies, and other ingredients to create your soup. Hot soup really drives off morning drowsiness. Don’t fret if your sweet tooth is craving for something this early in the day. They have pleasant-tasting muffins, puddings, and fruit slices. 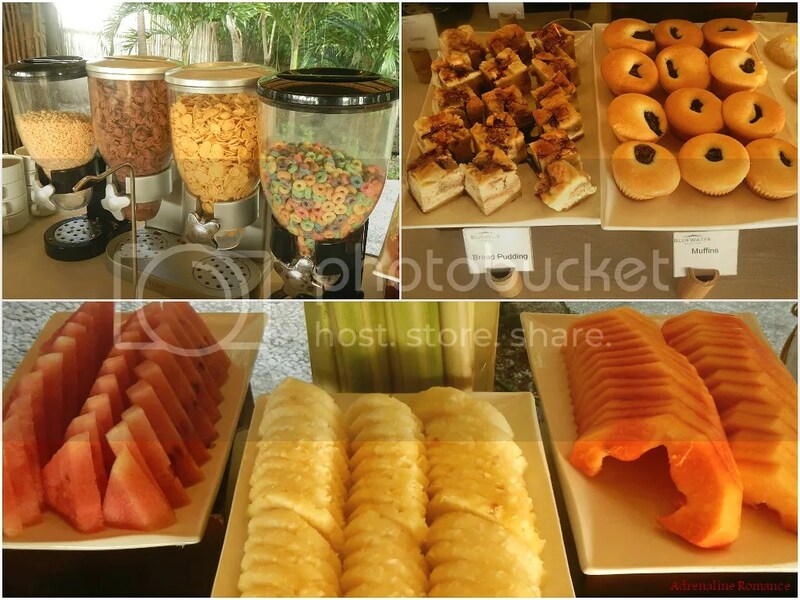 If you prefer a lighter breakfast, they have a variety of cereals for you to choose from. Mmmmmm! Isn’t that delicious? Breakfast is the most important meal of the day, so bon appétit! 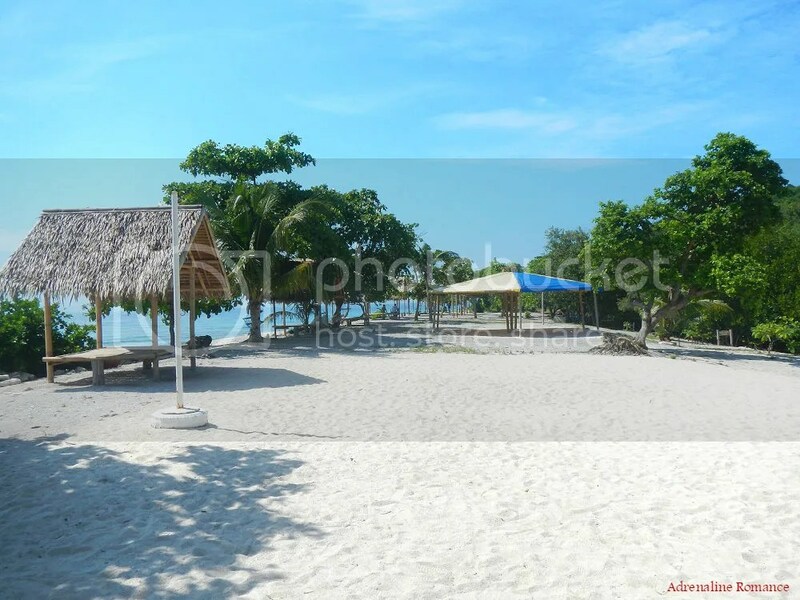 The white-sand beach at the north end of the island has open-air, nipa-roofed bamboo cottages where guests can take a break from snorkeling and swimming. There is also a sandy volleyball court for those who want to play some ball. When lunchtime comes, the serving style depends on the number of guests. During our stay, the resort was fully booked, so a lunch buffet served at the sandy beach was more practical than à la carte. 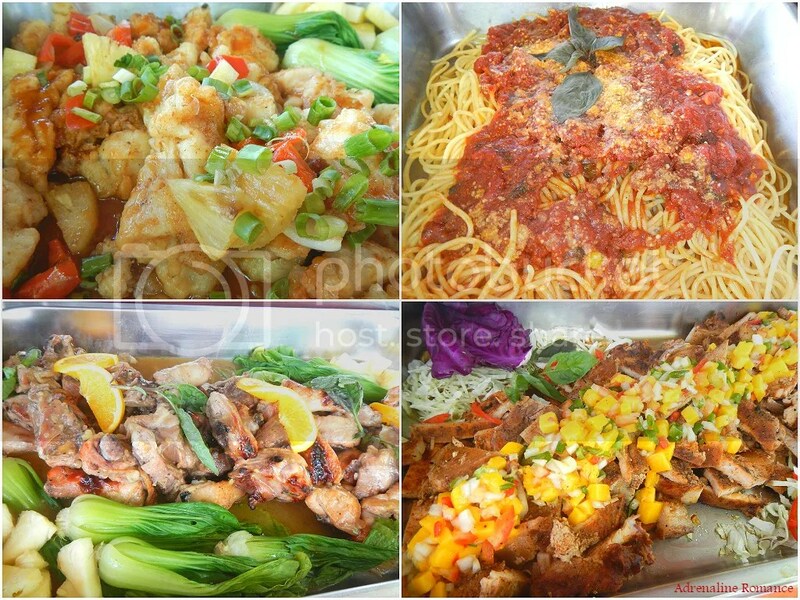 Fish fillet with pineapples, chunky spaghetti, braised chicken, and tender pork chops—-just take a look at all those sumptuous viands! And just imagine enjoying lunch at a tropical beach! Paradise indeed! 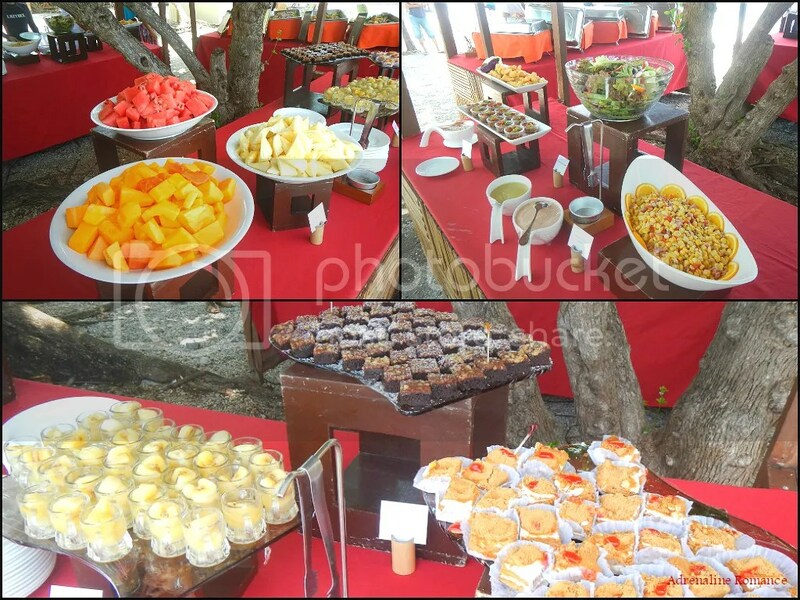 Cap off your meals with spicy salad, juicy slices of tropical fruits, and a variety of sweet pastries. If you think the Bluewater Sumilon Island Resort is wonderful, well, you haven’t seen anything yet! Wait until you experience the various exciting outdoor activities that the resort offers. 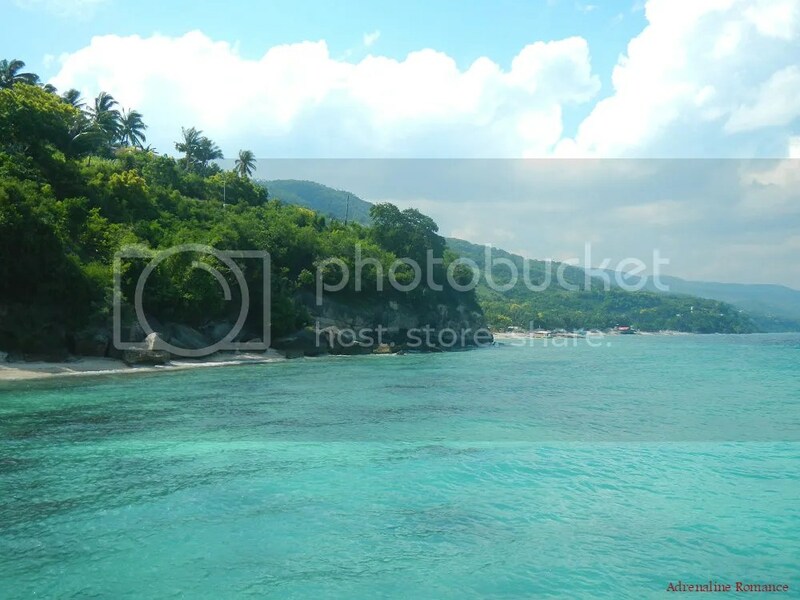 Indeed, Sumilon is an adventure island, both on and below the surface! These great adventures deserve separate posts. Stay tuned! * Since this is a sponsored stay, we didn’t spend anything other than the bus fare. For the resort’s rates, please visit Bluewater Sumilon Island Resort’s website or get in touch with them through their contact channels. Note that rates are subject to change without further notice. 1. To get to Oslob, take a bus bound for Bato-Santander at the Cebu South Bus Terminal. Tell the driver to drop you off at the entrance of Bluewater Sumilon. On your return trip, you can simply wait for a bus at the roadside. That’s because buses coming from Bato pass by Bluewater Sumilon’s gate. 3. Check out their Facebook Page for exciting promos, new facilities, services, and other information. 4. 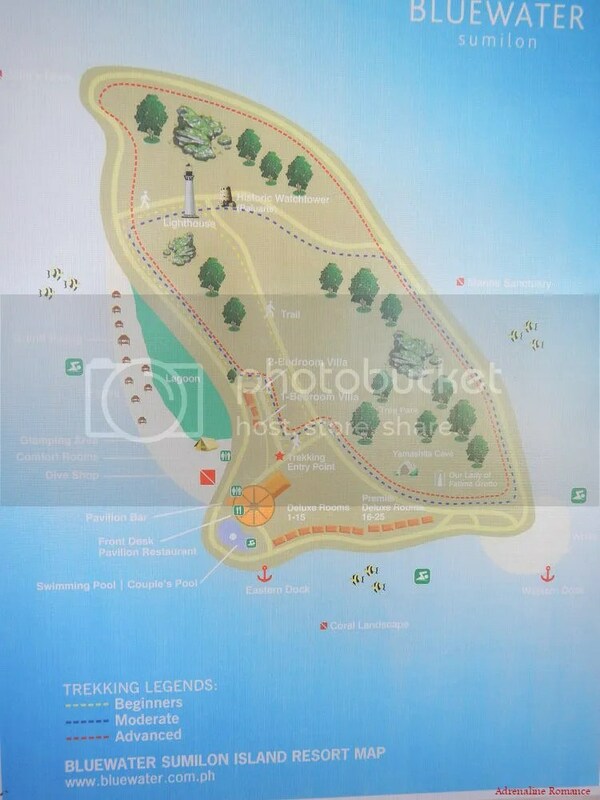 Below is a map of the island resort. 5. Check below for the resort’s regular boat schedule. With all that great food, I’d definitely need to run around the island to keep my figure!! Looks lovely. omg, you’re making me hungry!!! i have some of the best memories there in sumilon so looking at your photos and reading your post is making me nostalgic. like, i just wanna be there right now! hehe. but it’s good to know that they added the whole glamping thing. that would be fun for barkadas who are on a budget. Yup, glamping is definitely a great experience. The beach and the food are really great too! Wow, it’s so beautiful. You’re very lucky to have a sponsored stay since the rates were very expensive. I hope I could afford to visit Bluewater Resort. So beautiful and the food looks delicious! Indeed, it’s very beautiful there. You can actually visit there as they have day use rates. Get in touch with Bluewater Sumilon Island resort for details on their day use rates and inclusions. Oh, Cebu is amazing. I just know Kawasan Falls and Oslob, but now one more magnificent spot is included in my itinerary. Thanks so much for the great post!